Scott Lilienfeld received his BA in Psychology from Cornell University in 1982 and his PhD in Clinical Psychology from the University of Minnesota in 1990. He completed his clinical internship at Western Psychiatric Institute and Clinic in Pittsburgh, Pennsylvania from 1986-1987. He was assistant professor in the Department of Psychology at SUNY Albany from 1990 to 1994, and has been a faculty member in the Department of Psychology at Emory since 1994. Lilienfeld: It was a long and circuitous path, especially because my first loves were the natural sciences, paleontology and astronomy in particular (my initial declared major at Cornell University, where I did my undergraduate work, was astronomy). I’ve always loved mysteries, and I know that both of these disciplines satisfied my high score on the investigative sector of Holland’s hexagon of interests. For a brief time in college, I was also a premedical student. But — thanks in part to a high school course in psychology that sparked my interests — I decided to take a few psychology courses in my first two years in college, and I was hooked. Although my love for natural science never waned, I eventually fell in love with the mysteries of the internal world — the human mind — even more than those of the external world. Lilienfeld: In many respects, I sort of fell into them by happenstance. As an undergraduate at Cornell, I was exposed to the work of David Lykken on psychopathic personality (thanks to a terrific course I took from Robert Dworkin), which I found fascinating. When I entered the clinical psychology program at the University of Minnesota, I mustered up the courage to chat with David, who was then in the Department of Psychiatry, and he kindly agreed to accept me into his lab. Over time, I became more and more fascinated by psychopathic personality, although I’ve become increasingly convinced that this condition is a configuration of largely unrelated attributes, rather than a classical syndrome. But psychopathic personality has never been my only interest; I’ve long been interested in a host of other issues, including anxiety disorders, dissociative disorders, psychiatric classification, evidence-based practice, and the application of scientific thinking to evaluating controversial psychological claims. Because my interests are broad, I’ve sometimes felt stretched rather thin. But I also know that these broad interests have forced me to become something of a generalist and to keep abreast of developments outside of my immediate areas of interest. As a result, I’m never bored. And I like to think that this breadth makes me a better researcher and thinker, as it gives me a much broader perspective on the field than I had when I started graduate school. Lilienfeld: Find your muse. You’ll be married to any area of study for a long time, perhaps a lifetime, so find something about which you’re deeply passionate. Also try to find an area that has many pressing unresolved questions that can keep you busy for a few decades. Finally, try to find an area of research that isn’t so murky — and confounded by alternative explanations — that you won’t spend years conducting studies, only to throw up your hands when it comes to figuring out what the results mean. Lilienfeld: I chose my graduate program in a rather haphazard way, although I’m grateful that it worked out well for me. Back in the early 1980s, when I was applying to graduate school, I harbored the naive idea that the best approach was simply to find a program that contained a lot of super-smart people who are good researchers and good thinkers. It didn’t occur to me to decide exactly with whom I wanted to work when applying — I figured that I’d sort all of that out once I got there. That’s why I applied to the University of Minnesota clinical program, and that’s why I decided to go there. Nowadays, my approach wouldn’t work in most clinical psychology graduate programs, because the “mentor model” — which, in my view, has gone too far in many cases — typically requires applicants to pick one or two faculty members with whom they want to work. That’s always struck me as rather unrealistic, because most undergraduates have conducted research on only one or two topics by the time they apply to graduate programs. Not surprisingly, they usually say they’re interested in studying what they’ve already been studying. Lilienfeld: The most rewarding aspect of graduate school at Minnesota for me was getting to know how really bright people, like Paul Meehl, Auke Tellegen, Tom Bouchard, Matt McGue, Bill Iacono, Steve Hollon, Will Grove, and my primary Ph.D. mentor, David Lykken, think about and see the world. “Getting into their minds” a bit allowed me to better understand how keen thinkers conceptualize psychological problems. Having really bright graduate colleagues and friends, like Al Harkness, Niels Waller, Steve Gangestad, David Lubinski, Jeff Simpson, Steve Reise, John Allen, Steve Bacon, Julee Blake, Kara Witt, and too many others to name here, helped too. I also appreciated Minnesota’s “big picture” perspective on psychology, one I find to be rare in the field today. There were plenty of specific research questions being asked there, to be sure, but there was also a focus on broader, cross-cutting issues, like those in philosophy of science, research methodology, psychometrics, evolutionary approaches, and the sources of individual differences. Lilienfeld: To be honest, it requires an awful lot of hard work and dedication. But if you love what you do, the work should feel like play much of the time. More specifically, becoming a top researcher requires you to do two crucial things: first, to become a genuine expert in your area of specialization and second, to become a broad enough thinker that you can bring other areas of knowledge to bear on your specialization. I’d also tell graduate students to become experts in research methodology. Extensive knowledge of multivariate statistics, once merely viewed as a desirable skill set, is increasingly becoming de rigueur in many domains of psychology and is invaluable in helping researchers sort through complex problems. Lilienfeld: I tend to see a few widespread errors. Perhaps the most common is hyperspecialization — becoming intimately familiar with one’s narrow area of research but ending up largely unfamiliar with work in related domains. Admittedly, hyperspecialization is tempting and understandable given the increasing — and often unreasonable — pressure on young researchers to publish tons of papers and obtain multiple federal grants. But in the long run, hyperspecialization is self-defeating, because narrow researchers are unlikely to become good researchers. One other frequent mistake is not placing sufficient emphasis on writing quality. One can’t overestimate the extent to which success in academia hinges on writing clearly and effectively. Lilienfeld: Say yes. Whenever your Ph.D. advisor or another faculty member offers you the opportunity to become involved in a paper or presentation, help review a manuscript, or give a talk at a conference symposium, grab it, just so long as the opportunity is potentially relevant to your area(s) of research interest. Read broadly. Be sure to balance specialization in your own area of interest with intellectual breadth. 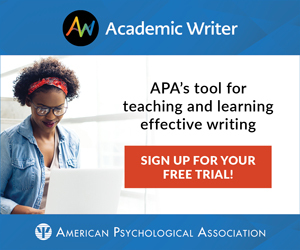 Journals like Current Directions in Psychological Science, which provide user-friendly and bite-sized summaries of major domains of research across the field of psychology, are a great way of keeping up with developments outside of your immediate research area. Joining list-serves that feature stimulating discussions helps too. Be prepared to work hard. Become accustomed to parallel processing, as that’s an essential skill in academia. Last but not least, don’t forget to be a good colleague and role model. Return e-mails and calls from faculty and students, help out with reviewing manuscripts when you get the chance, assist your advisor with projects that may not be directly relevant to your masters and dissertation work, and mentor and lend a hand to younger colleagues. Lilienfeld: When I first started submitting papers in graduate school, I would occasionally take criticism, especially harshly negative reviews of journal articles, personally. Over time, my perspective on manuscript reviews has changed. I’ve increasingly come to regard such reviews for what they are — reactions from informed peers. Even when I disagree strenuously with a review, I try to use it constructively to strengthen my arguments. I’ve come to learn that instead of reacting, “How could the reviewer have misunderstood this point?”, it’s almost always better to react, “Okay, the reviewer misunderstood this point, but maybe there’s a way I can sharpen and clarify my arguments.” Of course, on occasion, reviewers can be tendentious or simply mistaken. But even then, one can often draw on their criticisms to make one’s manuscript more convincing to readers. APSSC: Much of your current work focuses on revisiting old controversies in the field of psychology and debunking commonly believed myths. Were there any findings that even you were surprised by? What have you learned through this experience about the process of conducting such hot-button research? Lilienfeld: Yes, I’m perpetually surprised by findings in psychology, which is one reason I find our field endlessly stimulating. Lots of psychological findings have surprised me over the years. To give just one example, when I entered graduate school in the early 1980s, I assumed that shared environmental experiences — the kinds of broad homogenizing experiences, like parenting styles, that much of psychology has emphasized — are of paramount importance in shaping adult personality. Yet we now know that the primary environmental influences on personality are actually nonshared. As a psychological scientist, one always has to be prepared to have one’s beliefs challenged or even overturned. In writing about controversial issues, I’ve learned that one must have a thick skin. After all, if one criticizes others, one has every reason to expect tough criticism in return. The only type of criticism that troubles — and continually surprises — me are deeply personal or nasty attacks. Fortunately, these are quite rare in my experience, but they do occur on occasion. It would help if editors routinely sent such reviews back to reviewers, holding them to a zero tolerance policy when it comes to personal criticism. APSSC: What sorts of skills can you teach your students to help them recognize pseudoscience? Lilienfeld: Science and pseudoscience almost surely differ from each other in degree, not kind. But one can still distinguish most clear-cut cases of science from clear-cut cases of pseudoscience. I try to teach my students about potential “warning signs” of pseudoscience: The more such signs are present, the more one should become suspicious of a claim or discipline. For example, most pseudosciences tend to focus more on confirming than on refuting hypotheses, casually invoke ad hoc hypotheses (escape hatches) as a means of immunizing their claims from falsification, lack the self-correcting character of mature sciences, make exaggerated claims that greatly outstrip the evidence, try to evade peer review, insist that only “insiders” are qualified to evaluate their claims, claim to invent entirely new paradigms out of whole cloth, and so on. In general, pseudosciences tend to lack the safeguards against confirmation bias — the deeply ingrained tendency to seek out evidence consistent with our beliefs, and deny, dismiss, or distort evidence inconsistent with our beliefs — that characterize most developed sciences. APSSC: You also have a large body of work that centers on assessing and understanding the psychopathic personality. How would you suggest that psychopathy and antisocial personality disorder be presented in the DSM-V? Lilienfeld: I surely have my biases here, but I’ve become persuaded that (despite the claims of some people in the field whom I respect) psychopathy and antisocial personality disorder are far from equivalent constructs. In particular, I see psychopathy as a largely dispositional condition characterized by interpersonal (e.g., grandiosity) and affective (e.g., callousness) deficits, whereas I see antisocial personality disorder largely as a nonspecific behavioral condition characterized by a lengthy history of having done bad things. I believe there’s now good reason to believe that antisocial personality disorder is quite heterogeneous and probably more heterogeneous than psychopathy. People can engage in chronic illegal and irresponsible behaviors for a host of quite different reasons. So I’d like to see the diagnosis move away from a focus on antisocial and criminal behaviors, which are ambiguous in psychological meaning, and toward an increasing focus on personality constructs, like lack of guilt, lack of empathy, self-centeredness, and boldness. Lilienfeld: I foresee an increasing tendency toward interdisciplinarity, which can only be a good thing, because it should force investigators to approach complex psychological phenomena from the standpoint of multiple levels of analysis — molecular, physiological, psychological, social, and cultural. I also suspect that the current trend toward “neurocentrism” — seeing the brain as necessarily the most important level of analysis for understanding behavior — which at times has seemed to approach the status of a “craze,” will gradually subside. Psychology, the dire predictions of some prominent neuroscientists notwithstanding, is far from dead. I predict, or at least hope, that the field will move to a more mature and nuanced understanding of the proper role of neuroscience in psychology. This will necessitate understanding that neuroscience can offer valuable insights for certain psychological questions but that different levels of analysis are more fruitful than neuroscience for other questions.